i took a mini hike by the gym to try and get a better picture of the snowy mountains. 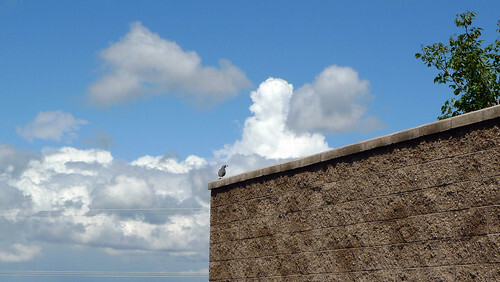 on the way to the spot i thought i would get a great snowy mountain picture i saw this quail on top of a wall. as soon as i got close he jumped off and ran away.